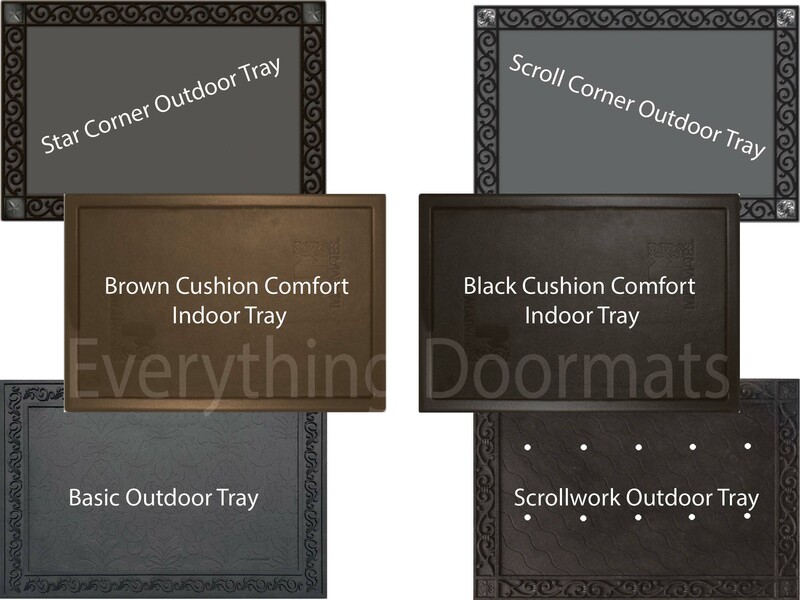 These mats are a new innovation to the doormat industry and will definitely brighten up your porch after dark. They are manufactured out of natural coir fibers which are made from the husks of coconuts. Because they are made with an all-natural fiber these mats will definitely work well for the Eco-conscious home owner. To add to the Green qualities of the mat it features a Recycled Rubber back to make it slip resistant. The Coir Trick or Treat Doormat is 28" x 16" x 1/2" when used as a stand-alone mat and uses 3 AAA batteries to power the LEDs. The LEDs will automatically turn off after about 60 seconds to help preserve the lifetime of the batteries. Additionally there is an on/off switch that allows you to turn the lights on all the time, or turn them off for storage or transport. The EverOptics Coir Mats are an Eve "green" Exclusive with a patent pending. Check out our informational video to learn more. Note: The Coir Coco EverOptics Doormat is pictured in our Scrollwork Coir Mat Tray which is sold separately or can be added to your order in the drop down box above.